SLE Call For Abstracts is a web-based solution enabling conference organisers to call for streams, abstracts, presentations, E-posters and other learning content pre-event. Also it enables presenters to submit their content online. SLE Call For Abstracts assist organisers by eliminating the administrative workload related to typing, updating and managing speaker information, conference streams, monitoring groups incl. conference committee and chairs as well the management of submitted presenter content. Through authorised access, it enables conference organisers and committee to collaborate across departments and locations. It is dynamic allowing real-time updating of content submission, stream creation and management, committee management and more. 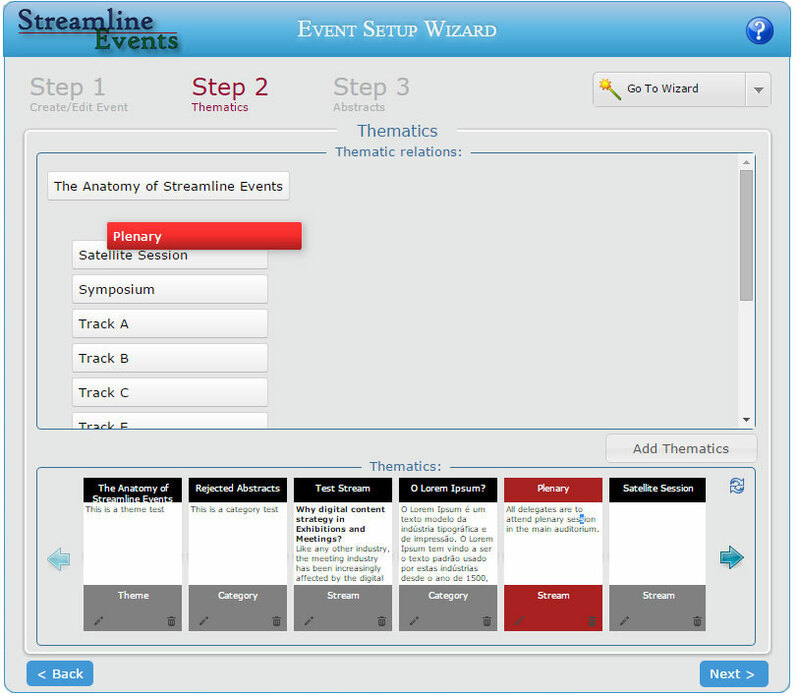 It is integrated with other Streamline Events modules in order to provide seamless management and automated tasks. In-built analytical features provide reporting tools enabling organisers to gain an overall overview of the process as well the content that has been submitted. Stream and abstract frontend submission by participants as well as organiser in comprehensive backend module. Create unlimited thematises (themes, streams or categories). Organise your thematic relations with easy drag and drop functionality. Categorise your abstracts into streams with easy drag and drop functionality. Attach full scientific papers to your abstracts in PDF format. Allocate conveners to streams and authors to abstracts.